In the wake of Barack Obama’s re-election and as the winds of immigration reform increasingly blow across the political landscape, the mantra of “border security” is becoming louder in some quarters. In late January, for example, the so-called “Gang of Eight”—a bipartisan group of U.S. senators—announced its proposal. It insists upon “success in securing the border” before any “path to citizenship” be opened for the millions of unauthorized immigrants already present in the United States. Among its champions, border security is assumed to be an unadulterated good—or at least the price “we” have to pay for “our” collective wellbeing. That price is costly for both the benighted “us”—the federal government has spent more than $200 billion dollars (in 2012 dollars) on immigration and boundary policing since 1986—and the menacing “them,” thousands of whom have perished in the borderlands since the mid-1990s. While such costs are relatively well known, far less visible are the everyday hassles, indignities, and abuses suffered by people in the borderlands at the hands of federal immigration authorities, particularly agents of the U.S. Border Patrol (USBP). This is despite many of those victimized having done nothing wrong even by the standards of the Department of Homeland Security. A report released last week by Families for Freedom, a Manhattan-based organization that fights deportations, and the Immigrant Rights Clinic at the New York University School of Law brings to light some of these abuses. In doing so, the report, entitled “Uncovering USBP,” reveals an ugly present, and suggests an ominous future in terms of civil and human rights in the borderlands—barring a weakening of the immigration and boundary policing apparatus. 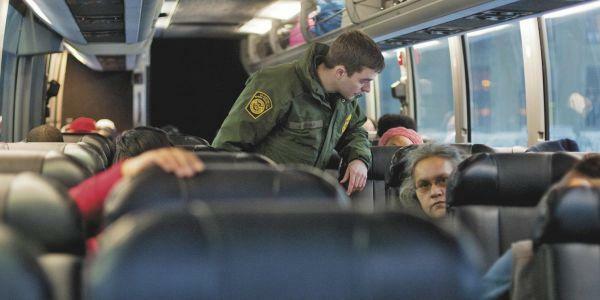 As a follow-up to a previous report, one released in November 2011, that scrutinized Border Patrol policing on Amtrak trains and Greyhound or Trailways buses, this latest one also concentrates on northern New York State. 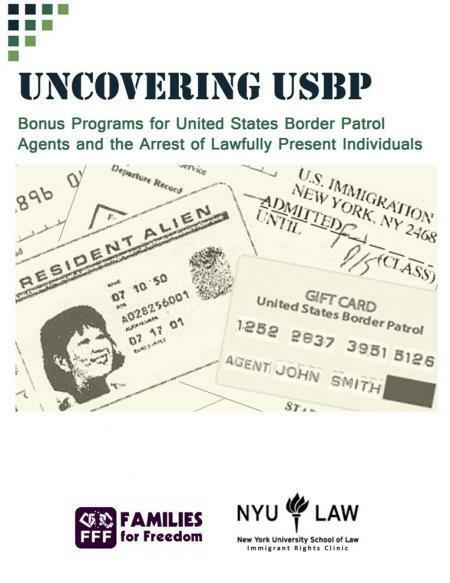 In particular, “Uncovering USBP” examines the Rochester Station of the agency’s Buffalo Sector. The outcome of almost four years of litigation that yielded depositions from senior agency officials, data, and documents, the report exposes what is essentially a bounty program—one in which agents receive bonuses for the number of people they arrest. Agents are eligible for gift cards of up to $100 for online shopping or commercial retail outlets; year-end bonuses of up to $2,500; or 40 hours of extra vacation time. In 2011 alone, the cost of these bonuses totaled almost $200,000 in the Buffalo Sector. The result is that agents from the Rochester Station arrested large numbers of people in 2006-2011 (the temporal focus of the litigation) who turned out to have authorization to be in the United States. In just the one station for which the authors gathered the data, agents arrested and detained hundreds of individuals “based on little or no evidence of wrongdoing.” The arrestees included U.S. citizens, legal permanent residents, and holders of tourist, student, and work visas. People of color were grossly disproportionately represented among them. These outcomes are a manifestation of, among other things, “an agency that has deviated from its stated mission of border security and given its agents the green light to harass and arrest individuals” in the U.S. interior, asserts the report. In this regard, the “green light” is one that enables agent abuse across the U..S-Canada borderlands, from Maine to Washington State. But it is in northern New York State where such “fear and uncertainty” is felt most palpably. Carl Jensen, the head International Services Office at the of the University Rochester, hundreds of whose students have been questioned or detained by immigration authorities, told The Chronicle that "It feels a lot like East Germany did when I visited in 1980." Regardless of the veracity of the statement, the underlying problem, says this latest report, “is USBP’s misguided expansion into interior enforcement,” the remedy for which is “to return USBP to its job along the border and to remove standardless incentive programs.” It would also entail, argue the authors, the creation of oversight and accountability mechanisms in relation to Border Patrol programs and practices.